Fees associated with filing trademark application in Moldova as well as other trademark fees are available in the fee calculator. Multiple-class trademark applications are possible in Moldova. Priority should be claimed at the time of filing of the application or within two months from the filing date. An applicant should submit a copy of the priority application and its Romanian translation within three months from the date of claiming priority. A simply signed Power of Attorney is sufficient. It should be provided simultaneously with filing the trademark application or within two months. The opposition against a trademark may be filed within three months from the publication of the application. The trademark registration in Moldova is valid for ten years from the date of filing. Registration may be extended by ten consecutive years an unlimited number of times. A trademark may be renewed within six months before the expiration of the last registration. Additional six-month grace period after the expiration is provided on condition of payment of a surcharge. It is possible to reinstate a lapsed trademark within one year after grace period expiry if an extra fee is paid and documents proving the force majeure circumstances which led to missing the deadline are provided. The trademark in Moldova may be cancelled on the basis of non-use within a continuous period of five years in case the corresponded request is filed to the court by the interested person. For foreigners, it is obligatory to perform the patent prosecution in Moldova through an agent, a registered Moldovan patent attorney. Any graphically represented elements may be registered as a trademark in Moldova: words, letters, digits, images, colour combination of colours, figurative elements, 3-dimentional elements, in particular, a shape of a product or its package, or any combination thereof. 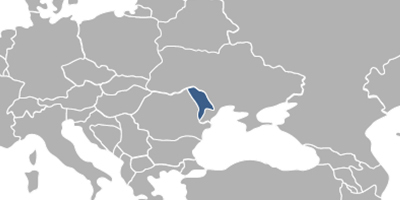 Online Search Databases: Moldovan Trademarks, International Trademarks.